#19 – Run Down Memory Lane | Why Run? Reason #18 took me back to some bad high school memories; this entry is going back even further to some happy days of elementary school. Sometimes it feels weird that I’m living in Lowell, Michigan – it’s the same small town where I went to elementary school before my family moved across the state to Ann Arbor. Until moving here four years ago I hadn’t really been back, and I’m still finding things that jog my memory. Saturday I went for an easy long run of 8.5 miles but never got farther than 2 miles from home. I merely wandered around downtown Lowell, camera in hand, checking out the early morning sights. This is a great way to run! I had no plan other than to run for about 1.5 hours. 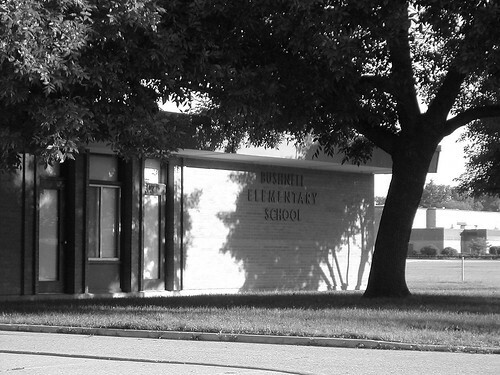 At one point I found myself running past Bushnell Elementary School, the same one I had attended years ago kindergarten through fourth grade. 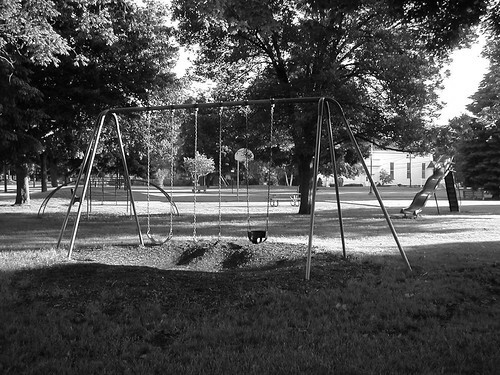 Running a loop in the parking lot took me past the playground – I was shocked to see that some of my old favorites were still there! The dome-shaped structure on the left we called the “upside-down eagle’s nest” and on the right are the “monkey bars”. The slide in the middle is new, but the other two were climbed by yours truly! 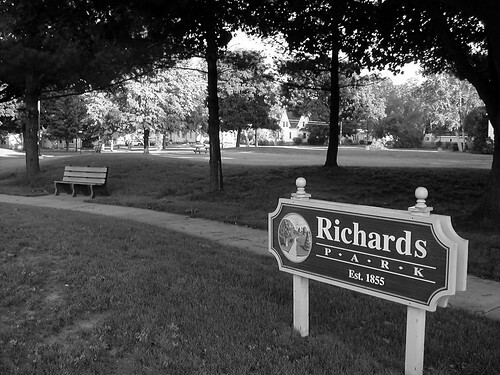 Continuing past the school I came upon Richards Park, a cozy one-block square park that’s been around for over 150 years! In the background behind the sign is a skating rink – during the winter water is poured inside the raised berm to create the frozen surface. In 2nd or 3rd grade I made a model of that park for a school project. 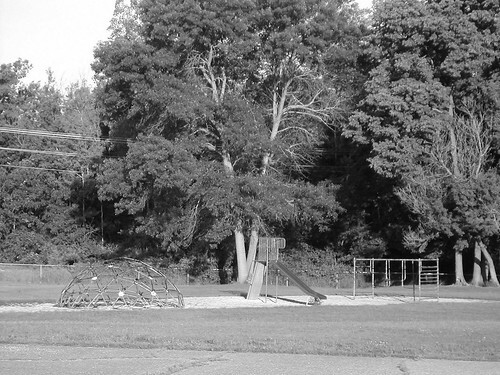 Once again I was surprised to see that the playground equipment I had modeled is all still standing over 20 years later! When I laced up my running shoes that morning I certainly wasn’t expecting to see these items from my past. I’ll have to go for more runs like this and see what else I can re-discover!